Interviews with ... Frances Kay, Cyndi Dawson. 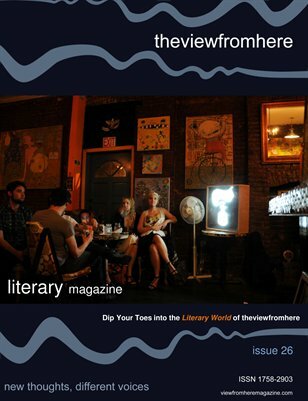 Original Fiction at thefrontview by: Lisa Marie Basile, Paul Beckman, Catherine McNamara. Original Poetry at therearview by: Rob Cook, Joshua Rapp Learn, Anne Whitehouse.